"a beautiful design with a beautiful message"
The current situation in Syria has left a lot of familes, friends and neighbors without a place to call home. 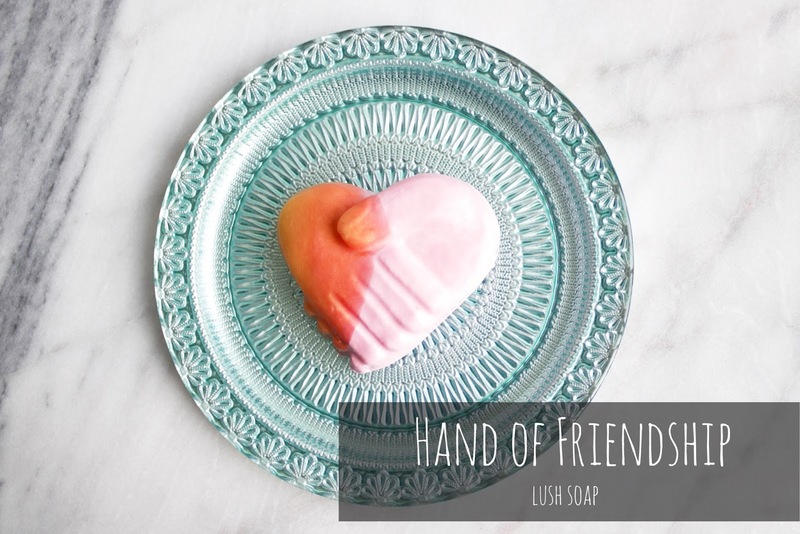 LUSH fresh handmade cosmetics has gone above and beyond by creating this beautiful hand of friendship soap that provides assistant to our refugee friends. At only $5.95 cdn each, 100% of the proceeds is donated directly to the resettlement of families in Canada. I don't normally shop at LUSH as the fragrances of multiple products can be a bit overwhelming as it trickles out of the store. Nevertheless, I was on a mission to find this soap and I did. I was beyond ecstatic! This was to be my first LUSH purchase and I loved that it was going towards a good cause. The hand of friendship soap is made with coconut and almond essential oils as well as rosewood, cedar and lemon. Lather between your hands to enjoy the lovely scent of cherry-blossoms. I can't stop washing my hands! The soap is made of natural ingredients and is a great vegan option. After picking this up, I might have to venture into the world of LUSH and see what other products I can pick up for my ever growing skincare collection! Shop Hand of Friendship soap here. Do you shop at LUSH? What do you recommend I try? My instagram feed has been full of skincare products this past month. Between a few new product launches and a chance finding of an incredible deal, I couldn't resist but pick up some goodies. All in all, I'm pretty satisfied with all the new products I found this month. I stumbled upon The Amore store in Toronto a couple weeks ago and snagged multiple Laneige cleansers at $10 cdn each. It truly was an incredible find considering Sephora charges $29 cdn plus tax. I restocked on my Laneige Multi Cleanser and chose the Multiberry Yogurt Peeling Gel and the Bright Renew Foam Cleanser to try out. I've transitioned my entire skincare line to this Korean based brand and my face has been very happy with this change. The creamy cleanser does a remarkable job of removing makeup and is extremely gentle on the skin as well. If you want to read more about Laneige, check out my previous post here and here. We've had a few chilly days recently, so sheet masks have been essential to my weekly skincare routine. Anything that has the word brightening printed on the packaging is something I'm willing to give a chance to. I've been using the Dr. Jart Brightening Infusion Hydrogel Mask and have noticed my skin feels softer, hydrated and brighter. It gives my skin that extra moisture that is needed during the cold days in the great white north. Clinique's Pep-Start Eye Cream has been all over social media since it launched late January of this year. 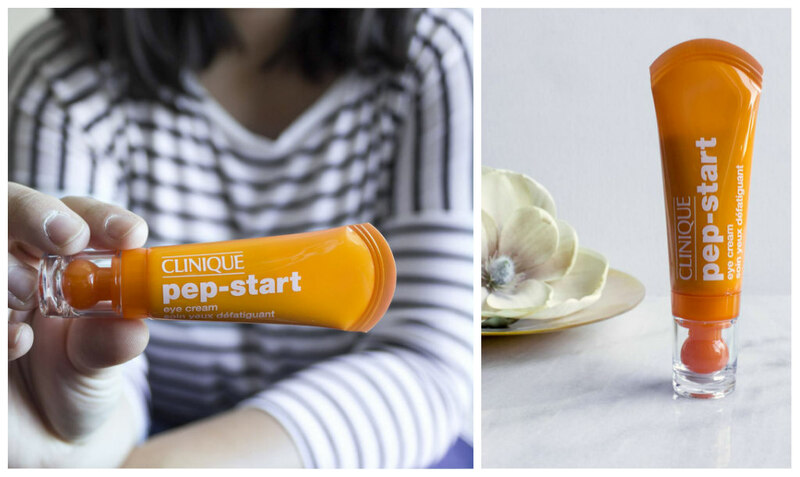 I've been testing this cream out and I'll admit that it's growing on me each day (read my first impressions on Pep-Start Eye Cream here). It definitely hydrates and gives a boost of radiance needed during the early hours of the morning or throughout the day for a quick pick-me-up. I also picked up the Impassioned Nars Blush from their Nouvelle Vogue Spring 2016 collection and haven't been able to put it down since. The colour is a perfect soft shade of pink that works so well from day to night. It takes a few more sweeps across the cheek than other shades, but it's well worth those extra few seconds. View my full review here. 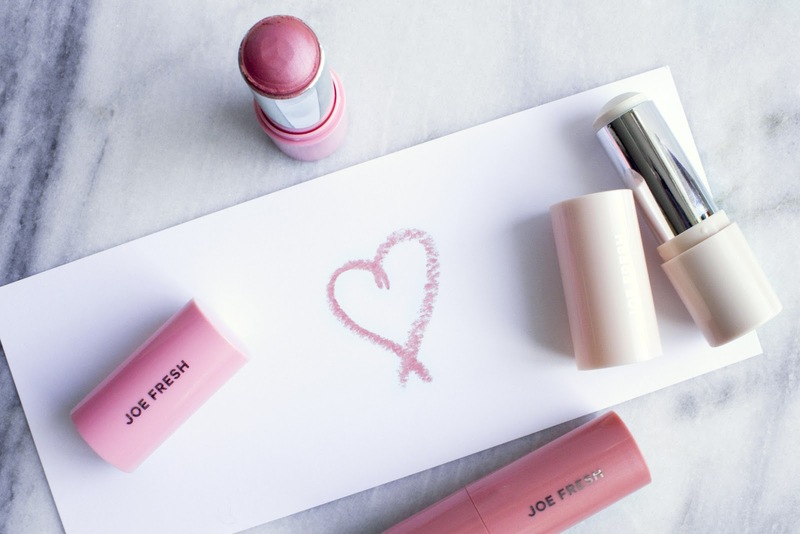 For all the Canadians reading, Shoppers Drug Mart's across Canada have recently launched their Joe Fresh line #joefreshsdm2016. With their affordable pricing, I was able to pick up two cream blushes and a highlighter. This was my first chance to test cream blushes and I was pleasantly surprised! Super blendable and pigmented. The highlighter was a different story - find out why in my review here. Let me know what fun goodies you've picked up this month in the comments below! I'm having a wanderlust moment. I recently ran out of my Josie Maran Argan Oil that I use for literally everything in life and started a bottle of pure argan oil I picked up last summer during my trip to Morocco with my husband. 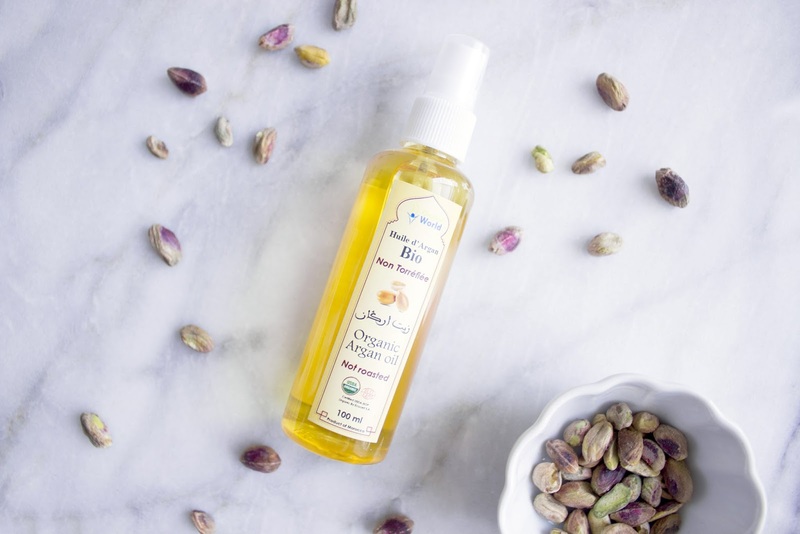 Argan oil originates from Morocco and has recently exploded in the North American market. Products range from hair to cosmetics with Josie Maran being the largest spokesperson for this oil currently in the cosmetics industry. With the huge demand of this oil, there have been women's cooperatives launched throughout Morocco to assist in producing jobs for women. 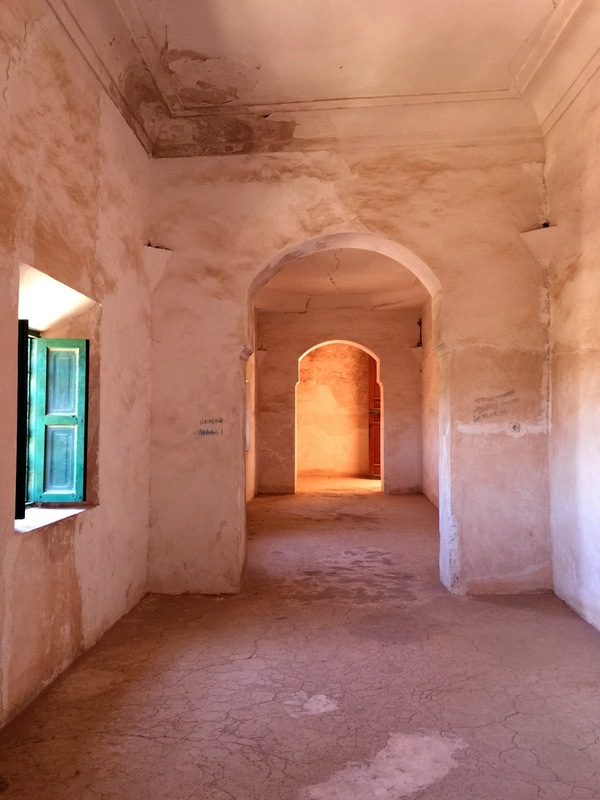 One of the first places my husband and I visited was a cooperative while we drove towards the Sahara from Marrakech. The women were incredibly welcoming and knowledgeable. They toured us around the cooperative sharing their passion and insight on the argan tree, how the oils and soaps were produced and answered any questions we had. Heading to Morocco, argan oil was on my must have "shopping" list, so I picked up a few items for myself, friends and family. Argan oil is a great all around product that should work for everyone. I personally use it for my hair and face. Recently, I've been using it to remove my eye makeup - it's natural, gentle and removes eye makeup as well as a regular makeup remover. 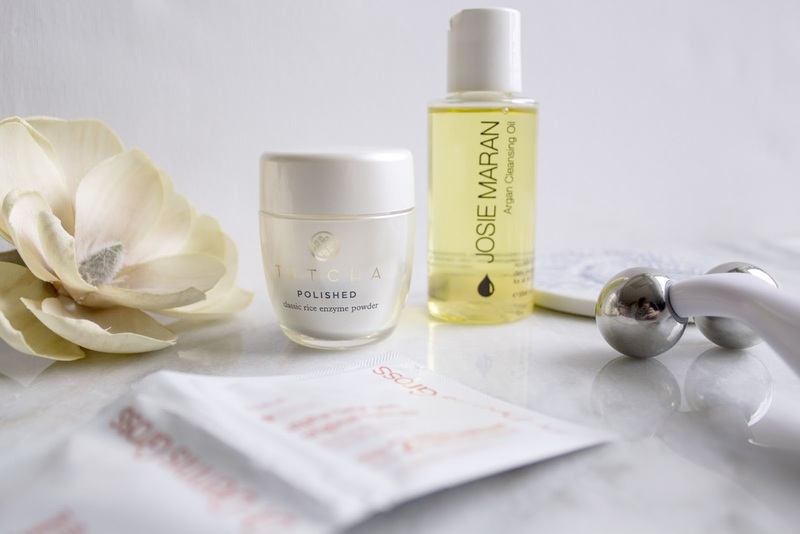 When my skin becomes insanely dry, I definitely reach for the Argan oil to moisturize. A few drops and my skin feels 10x hydrated. I've only ever used Josie Maran's Argan Oil, so I've grown accustomed to the dropper style glass bottle it comes in and prefer this over the spray bottle I picked up in Morroco. I feel like there is much more control with the dropper, so I might transfer the Argan oil into another bottle for my convenience. Morocco is a photographer's dream. 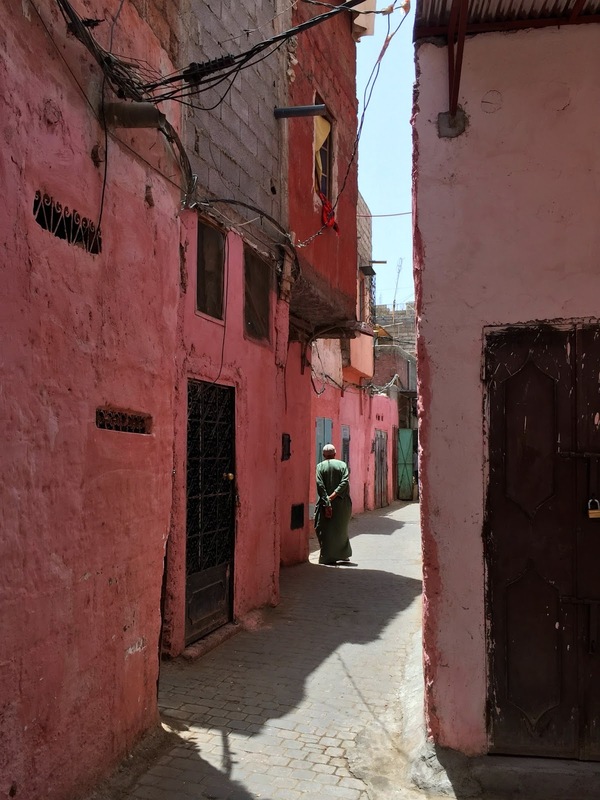 From the beautiful solitude of the Sahara, to the remote Atlas mountains to the hustle and bustle of the winding and narrow streets of the souks in Marrakech, there is something for everyone. If you want to experience the souks, pick up a fresh O.J (the best ever) just on the outskirts of the souks and prepare yourself for one of the most incredible shopping experiences of your life. Get ready to bargain and know what you're willing to pay for items on your shopping list. If you prefer the quiet, scenic views, take a drive towards the Atlas Mountains or the Sahara - you won't regret the long trek. In fact, aside from the shopping in Marrakech, our most memorable experience was in the Sahara. Have you been to Morocco before? Let me know in the comments! 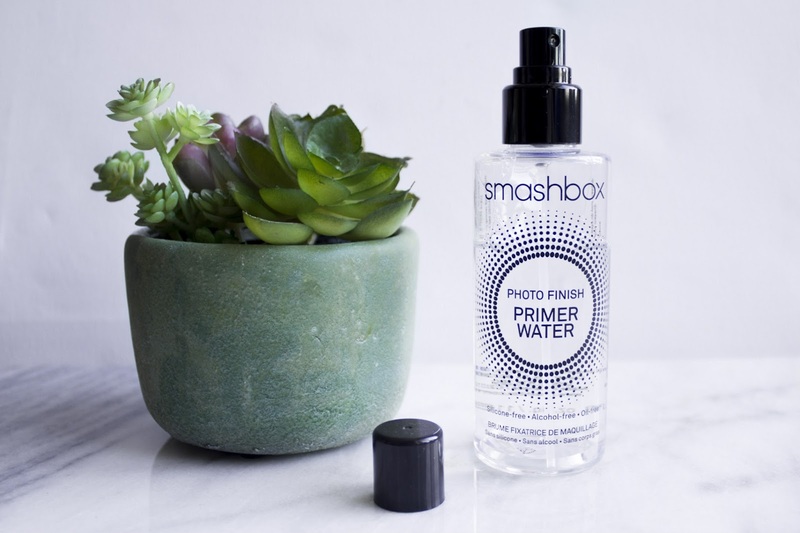 Smashbox has been famed for their primers, so when they launched their Photo Finish Primer Water it was a big deal. I was hesitant to purchase this one, so I waited for a VIB rouge sale before I gave in and picked up a bottle. I spent a couple months wearing this product before I made my decision on whether this was all hype or a product worth the money. This priming water is silicone, alcohol and oil free and claims to hydrate and revitalize skin. To be honest, I didn't notice any exceptional hydration from this primer. I only used one or two sprays at a time as it took a while to set into my skin. It left my face feeling extremely sticky and didn't absorb into my skin as well as I was expecting it to. The priming water was clearly not going to work as a primer for me so I started using this as a setting spray. Nope. The lasting power wasn't as long as the Urban Decay All Nighter Setting Spray and my skin remained oily (no oil-absorption). Finally, I started using it as a refreshing spritz to hydrate my skin throughout the day and the results were lackluster. Any water mist would work just as well (if not better) and you can get them at one third of the cost. There were many whispers about this primer being a knock off of the mac fix+. It does have many similar ingredients so if you're thinking about jumping over to the smashbox priming water, please save your money as the mac fix+ is less expensive as well. I really wish this product would have worked with my skin as I really wanted to like it. A friend had her makeup done and the makeup artist used this on her makeup looked incredible. There are tons of people who love this product, however, it just wasn't for me or my skin type. If you're like me and have more of an oily t-zone, I would stick with a mattifying setting spray and primer. The Becca Ever Matte Poreless Priming Perfector is a great option for a matte primer and as mentioned earlier, the Urban Decay All Nighter Setting Spray is one of my all time favourites. Have you tried the Smashbox Priming Water? How did it work for you? While out for dinner with a friend one night, I noticed that her makeup looked exceptionally flawless (we're talking Beyonce flawless). 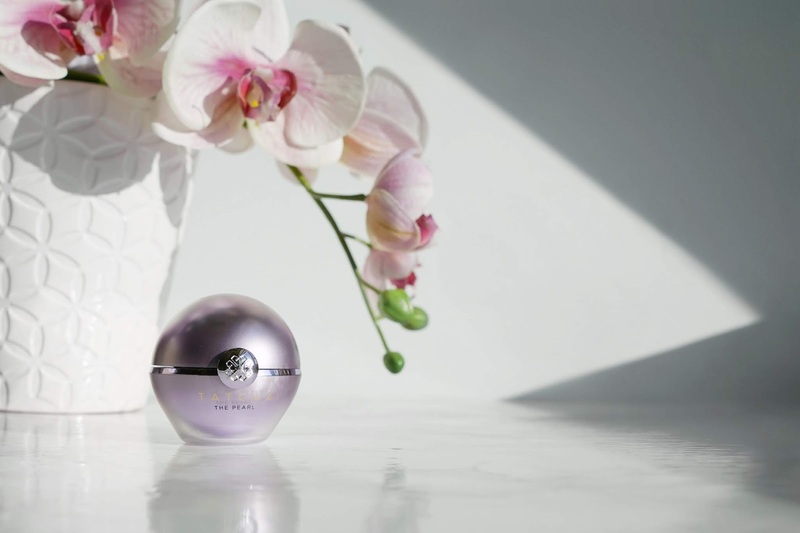 I asked her what she was wearing and she said four words that would change my makeup game forever - Le Blanc De Chanel* (1oz, $48). Not too long after that discussion, I caved and picked up a bottle. 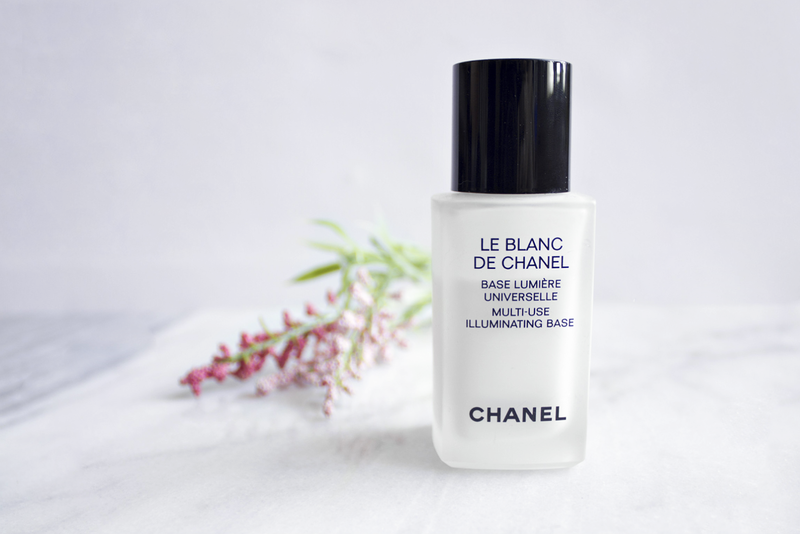 Le Blanc De Chanel is a multi use illuminating base that acts like a primer (for best results, wear this product under your foundation). Don't be afraid of the milky white consistency as this oil-free liquid applies smoothly onto skin as a sheer base. The glass bottle is luxurious but not practical for travel. The new bottles now come with a pump which keeps things less messy and more controlled. 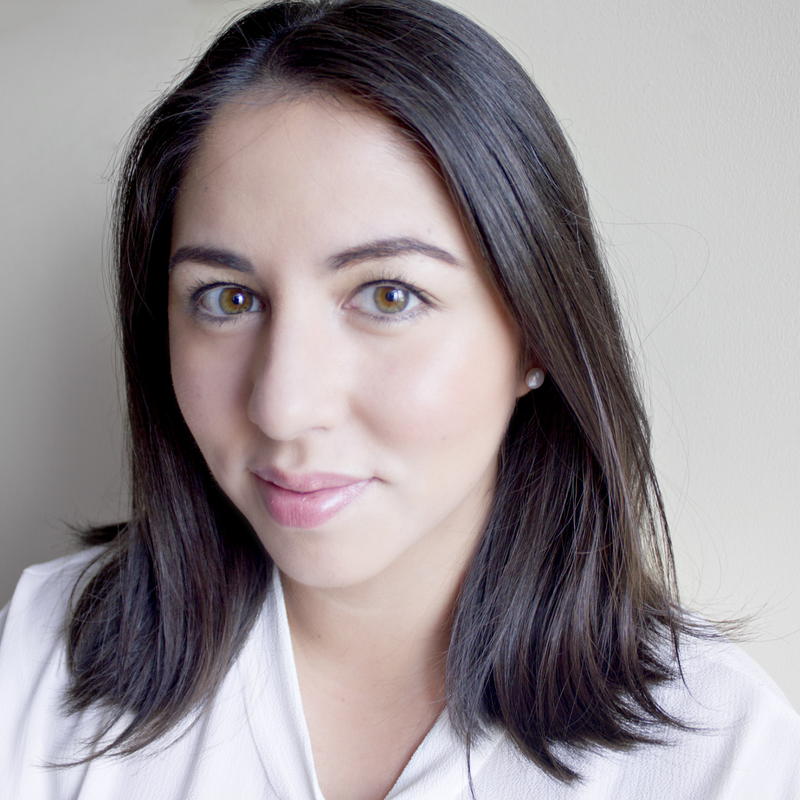 A little goes a long way with this base; I use half a pump to cover my cheeks and chin as I prefer a more mattified look without illumination on my super oily nose and forehead (Becca Ever Matte Poreless Priming Perfector* is a great option). This has instantly become one of my Holy Grail products. Once applied onto my face, I feel like I'm having a great skin day. Since purchasing this base, I consistently reach for this above all other primers. It gives off a wonderfully radiant, dewy glow without being too shimmery or oily. If you haven't had a chance to try this base out yet, I highly recommend you should! You won't be disappointed! Quick tip: blend this multi use base with your foundation to lighten up the coverage while giving you a healthy, radiant glow. The beauty industry is exciting, captivating, chaotic and ever changing - and I love it all. Some people enjoy watching movies or collecting stamps, but I prefer beauty products. I beam with excitement when a friend asks me for advice on makeup or skincare. Before any advice, I ask what seems to be an endless stream of questions to get an idea of what they're looking for, completely oblivious of the fact that not everyone reads up on the latest innovations of skincare or watches youtube videos on how to perfect a cat-eye on a nightly basis. Winding down after work means logging onto my computer and absorbing everything I can about beauty. It is my daily serenity now moment. I remember when Sephora first launched in Canada. I was intimidated to walk in, with all the beautifully lined products and bright lights. It was the first time I felt the chaos in the world of beauty. It was an exhilarating experience to say the least. Fast forward to today and I can tell you where any product you're looking for is located in many Sephora's across the city. People may find it bizarre but I can spend an endless amount of time roaming the makeup aisles. You know those coffee connoisseurs that walk into Starbucks and ask for a double shot, skinny, soy, no foam latte? That's how I feel when I'm on a hunt for a new product that has just arrived. Can you direct me to the X palette from season Y by Z? I've gone from thick brows to thin back to somewhere in between. I'm constantly learning new ways to use makeup and to see what works with my skin type. Throughout my journey, I decided I wanted to share my experiences with the internet world; so, welcome to the exciting, captivating, chaotic and ever changing world of beauty. NARS recently introduced their Nouvelle Vogue Spring 2016 collection and it is nothing less than perfection. Blushers have always been a big part of my makeup routine; I love that it gives your cheeks a youthful, healthy glow. Impassioned ($38 cdn), the new blush shade from the Nouvelle Vogue collection has been my go-to blush as of late, and the more I wear it, the more I adore it. Impassioned is described as a "rich pink orchid" that looks so different in person than it does on the NARS or Sephora website (much darker online). In person, the colour is closer to a mauve pink shade that looks incredible on light to medium skin tones. 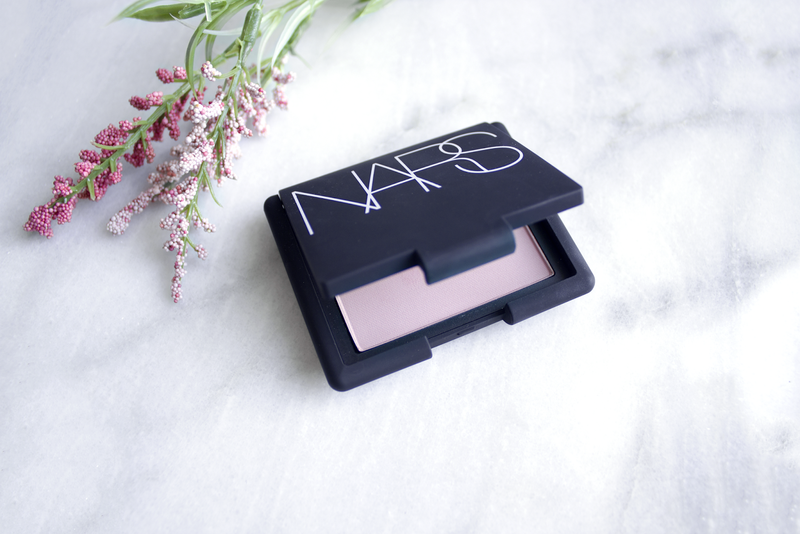 NARS has one of the best blush formulas on the market, however, I felt this shade in particular needed a few extra sweeps across the cheeks to actually make a significant difference. When applied with a decent amount of product, the colour looks beautiful and natural, just the right amount for a day time or "no makeup, makeup" look. I love that impassioned gives me a natural, matte finish that can be worn straight from day to night. 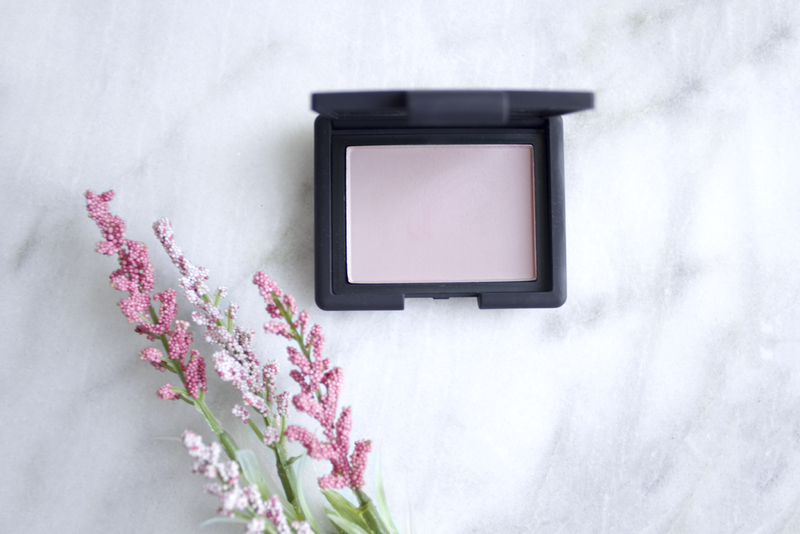 When used with a primer, this blush will last all day and night. If you're looking for an all around-er blush, look no further. I give this two thumbs up! "You look tired". I cringe at the sound of those words. If I could go back in time and give my younger me a piece of advice, it would be to invest in eye cream. Every morning I feel like I'm preparing for combat against my delicate under eye area. Correctors and concealers may help mask the bags under your eye, but it's the eye gels and creams that keep your skin hydrated, healthy and bright. Clinique's Pep-Start Eye Cream (0.5 oz, $31 cdn) is a light-weight formula that claims to hydrate and instantly brighten the eye area as it fights the effects of a busy life. The cream is oil free and works over and under makeup. Pep-start has a round ball applicator used to cool and de-puff eyes. The lid pops off and you pull the ball tip to squeeze out the cream. The associate at Sephora recommended leaving this in the fridge for a refreshing start to the day. Unfortunately, I've been struggling to actually use the round tip as a massager. I find it more convenient to use my finger tips to gently massage the cream onto my skin. When kept in the fridge, naturally, there is a cooling effect. The cream has a thicker consistency and definitely hydrates well. When I use my finger tips, it absorbs quickly and easily without feeling heavy or greasy. I do notice an instant brightening effect when first applied (love! ), but it does fade quicker than I would like. Skincare takes weeks before any changes are visible and to notice if the product works with your skin. I have been testing this cream out for a few days now and my first impression is that it's okay. The cream itself is great - it's moisturizing and feels wonderful when applied; however, the applicator has room for improvement. This product is great for a quick boost of hydration when your under eyes begin to look dull and dehydrated. I will definitely do a more detailed review within the next few months to see if my opinion has changed. Stay tuned! Last year was all about skincare. 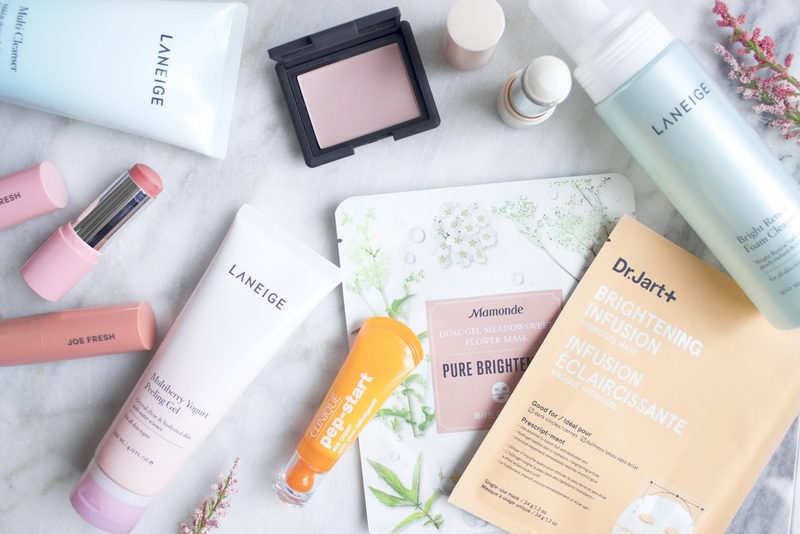 I did a complete overhaul of my skincare products as I scoured the beauty aisles on a mission for the most hydrating, light weight and non-greasy formula money can buy. The hunt is over, friends. I transitioned entirely to the Laneige line and haven't looked back since! 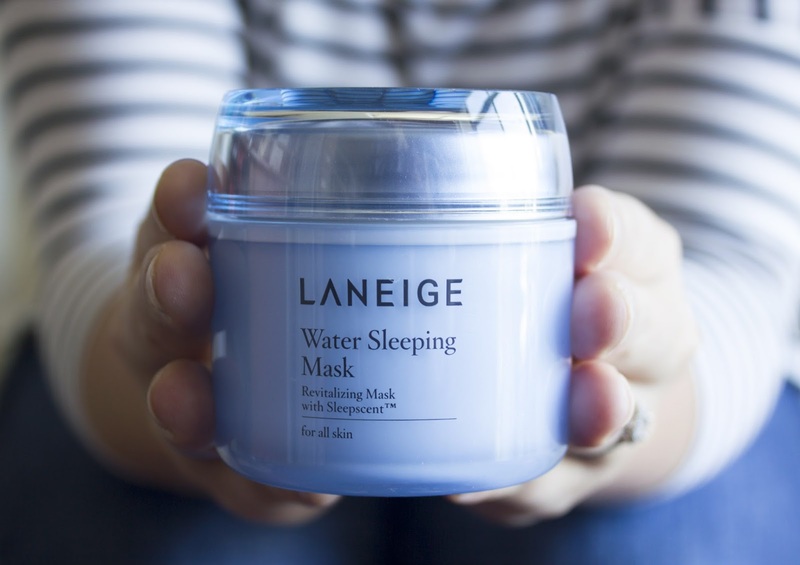 Everything I've tried from Laneige has been incredible, however, I can't rave enough about their Water Sleeping Mask (2.7 oz, $30 cdn). 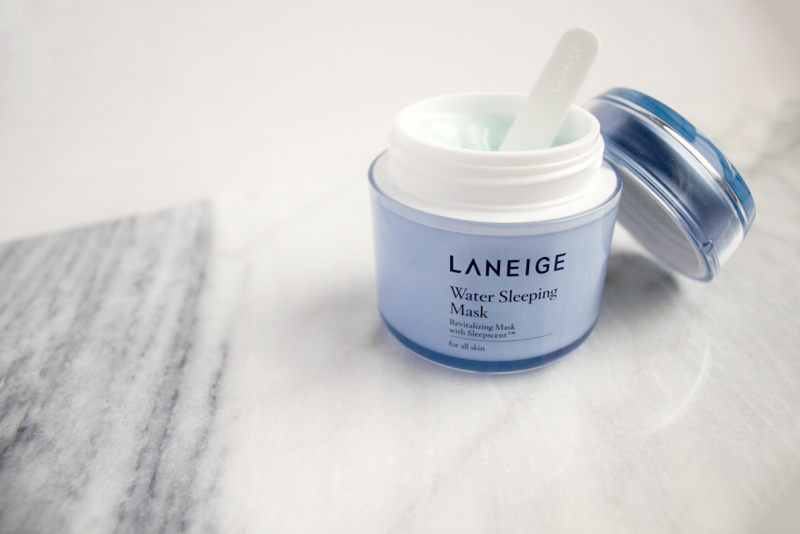 This revitalizing gel mask absorbs quickly and keeps your skin hydrated throughout the night. Although the product should be used once or twice a week, I tend to dip into the jar more frequently during the winter season. When my skin begins to feel dehydrated, I literally create a small layer over my face and let it soak in overnight. 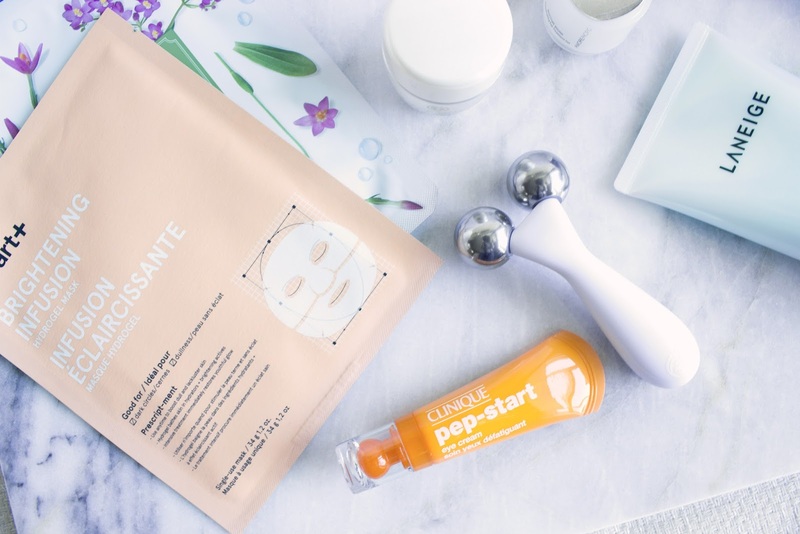 My skin receives an instant boost of hydration and the next morning my skin feels fantastic. I have never had so many great skin days in a row. Growing up with combination skin was pretty annoying. Every product I used would either work for my t-zone but not the rest of my face or vice versa. Hydrating gels and creams would make my t-zone super oily. This mask has a gel like consistency, making it super light weight and non-greasy, thus, making my skin look much less oily than it used to without sacrificing hydration. Needless to say, this is one product that is a must have for me. It works wonders and is currently one of the least expensive masks on the market. Laneige has began to expand their line; which now includes hydrating, repairing and brightening products. Moving into 2016, the Korean skincare game is continuing to remain strong. Have you tried any of the brightening products by Laneige? That's next on my list to try! Click here to read my review on the hydrating trial set by Laneige! This Valentine's weekend has me thinking about love. Obviously, I'm talking about my love for blush and all things pink! I generally gravitate towards powder blushes and although I've always wanted to try cream blush, I've never had the courage to pick one up - until a few days ago. 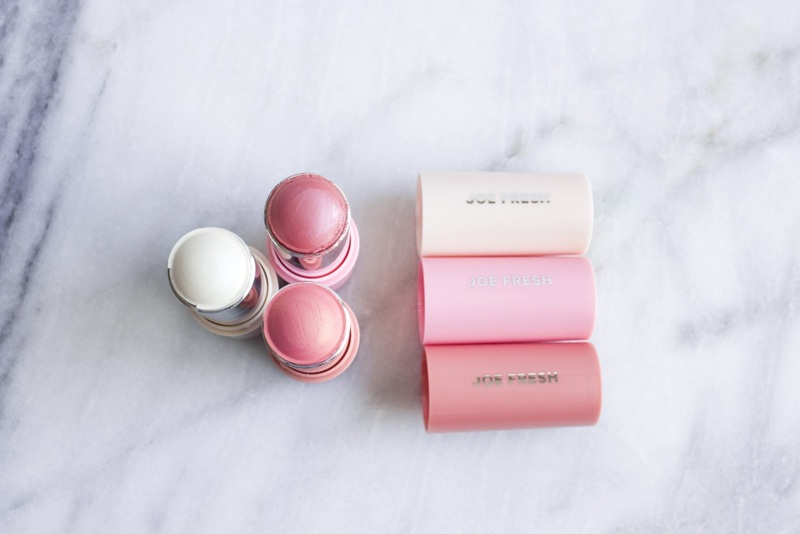 Shoppers Drug Marts across Canada have launched an affordable beauty line by Joe Fresh. I figured this would be my opportunity to play with creamy blush sticks without breaking the bank. I chose two pretty pink blushes in Radiant Rose and Peach Dream and the highlighter stick in Pure Glow. The packaging is exactly what you would expect at this price point - nothing fancy, just simple and sturdy. 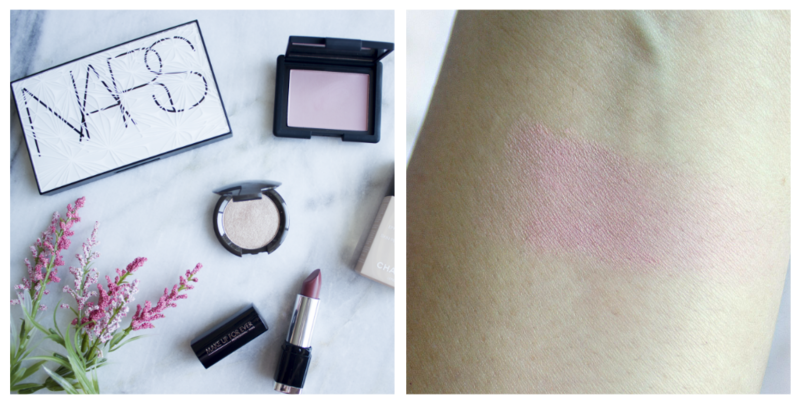 The blushes are not matte; they have a subtle sparkle when applied. I was surprised at how smooth the blushes glided on and how pigmented the product was. Both blushes blended easily and created a pretty powdery finish on my skin. The highlighter should apply the same as the blushes, however, I had a much harder time applying the product at first. It took some warming up, but I eventually got the product gliding the same way as the blush. I found the pure glow to be a little too sparkly for my taste and personally, I feel it's much more suited to younger women. 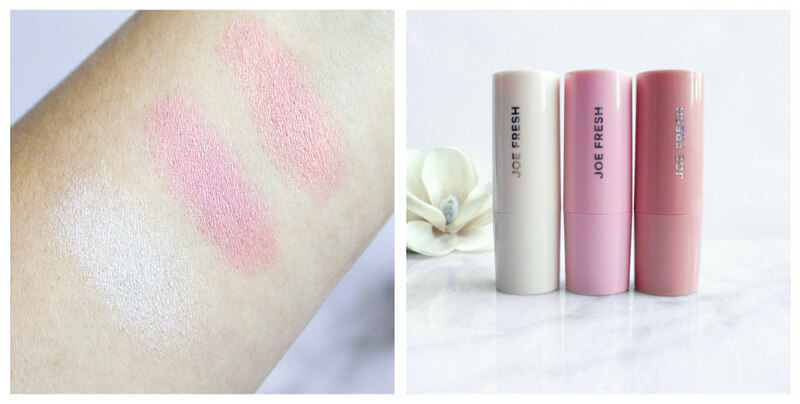 If you haven't had a chance to try out Joe Fresh beauty products, I'd recommend starting with the blush and avoid the highlighter altogether if your age doesn't end in "teen". I think I need to pick up the other two blush stick colours! Love, love, love! 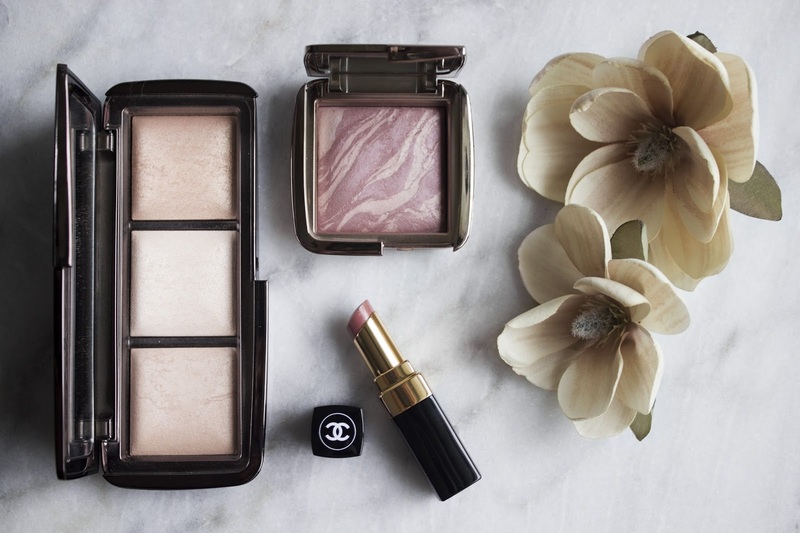 The Hourglass Ambient Lighting Palette ($70 cdn) looks like something that every girl needs in their makeup collection. This palette includes three universal shades that either capture, diffuse or soften light reflection to help create a warm, luminous glow. The moment this trio came out, there was already so much hype built around it; I hoped this palette wouldn't disappoint. Have you ever experienced love at first site? If not, head over to Sephora and feast your eyes on this beauty; the powders are creamy, soft and applies effortlessly onto skin. There is no arguing that Hourglass Cosmetics know how to package their products. This palette seems to be absolute perfection, but is it really? It took about a week before I had the courage to swatch the powders at home! Dim Light is a neutral peach beige that can be applied all over the face. This is the shade I reach for the most as it gives me a pretty luminous glow when my skin feels bleh. Incandescent Light is a pearly pink powder and is the only shade that doesn't come in a full sized pan option. I love using this as a highlighter! Radiant Light is a golden beige powder that gives off a warm sun-kissed glow. I use this in places I would apply bronzer. When I first purchased this palette, I thought this would become part of my everyday makeup routine. I couldn't get over how gorgeous the powders and packaging were, however, it became a "nice to have" product for me. I feel this product was a bit over-hyped; the shades are lovely but nothing special. I prefer using the powders when heading out for a night out or maximum 3-4 hours, anything longer and I look like I have shiny, oily skin! If you're like me and have an oily t-zone, try to avoid the light reflection products. 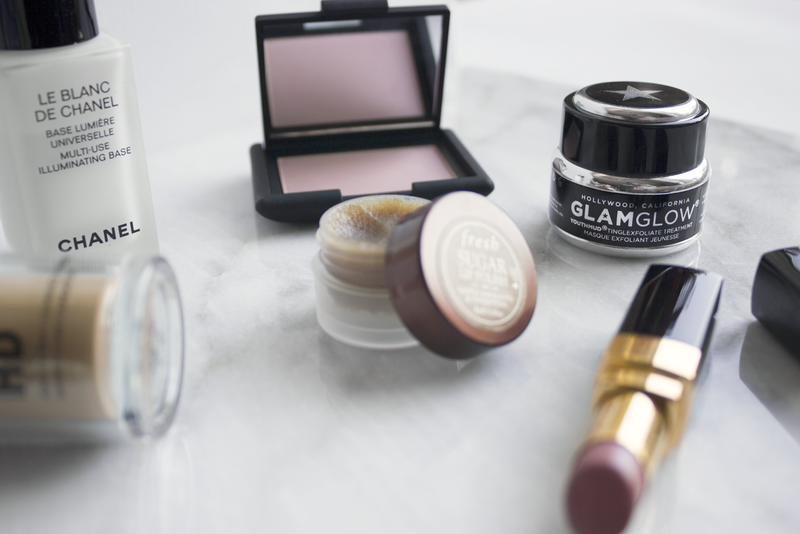 If you have normal to dry skin, I have an inkling you will adore these powders! 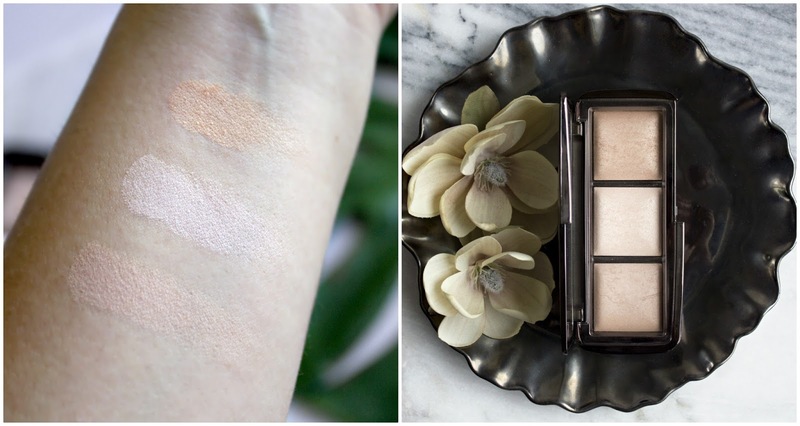 Have you tried any hourglass lighting powders? Which shade do you like best? 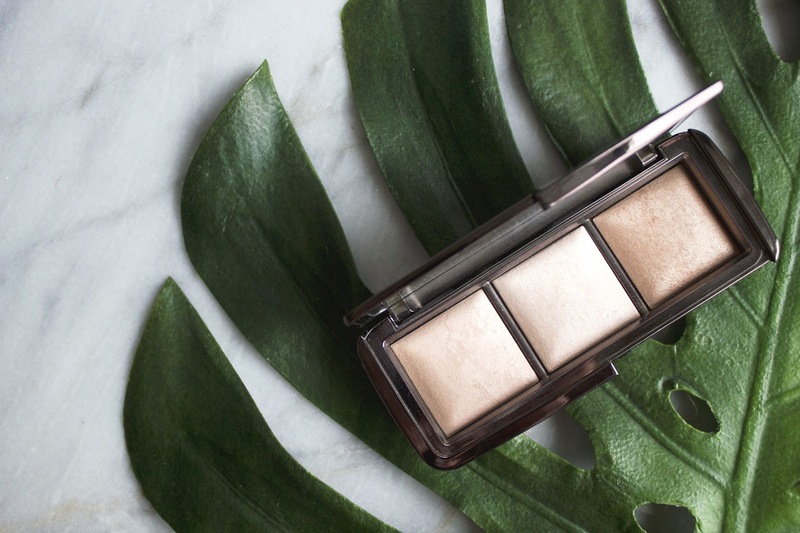 Shop the Hourglass Ambient Lighting Palette here! There are some days when I look in the mirror and just think "ugh, my skin is so dull" while thinking back to those youthful days of bright skin that I once took for granted. 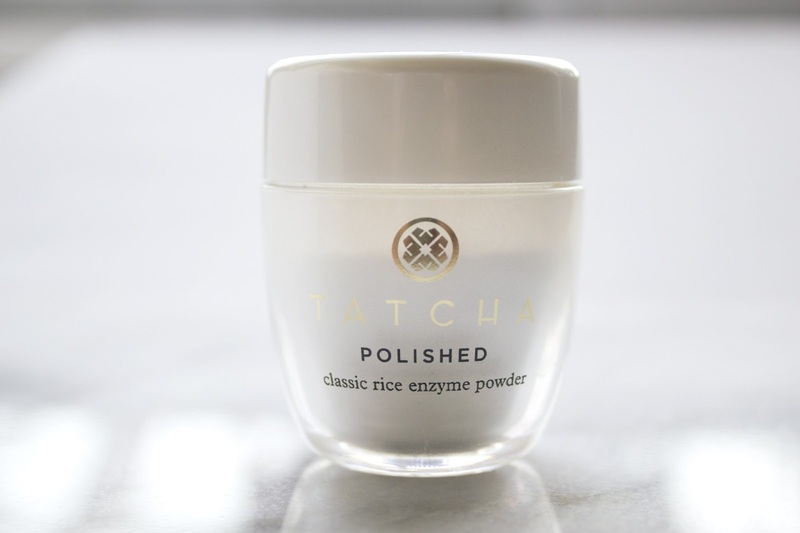 When I need a pick me up and don't have enough time to put on a mask, I reach for the Tatcha Polished Classic Rice Enzyme Powder (.35 oz,$19 cdn, 2.1oz,$78 cdn). This polish is a unique water activated exfoliator that cleanses and tones while buffing away dullness. I initially picked up the polish because of how lovely it was packaged. I was thrilled to find out that there was some practical aspects included, like the small sliding cap under the lid to prevent any messy mishaps when handling the powder! The powder itself is simple to use and the outcome is everything I hoped it would be. The polish makes my skin look brighter and feel softer. The only thing I would love is if the brightening effect lasted longer than a day; luckily, the powder is delicate enough for daily use! If you're in the market to try a unique product that will brighten, soften and remove dry skin, I would highly recommend sampling the rice enzyme powder. During the past few months, this has been my go-to exfoliator to combat that chilly, dry winter cold. Have any of you tried the Tatcha Luminous Dewy Skin Mist? I have heard wonderful reviews about this product and would love to try this out next! Let me know your thoughts!